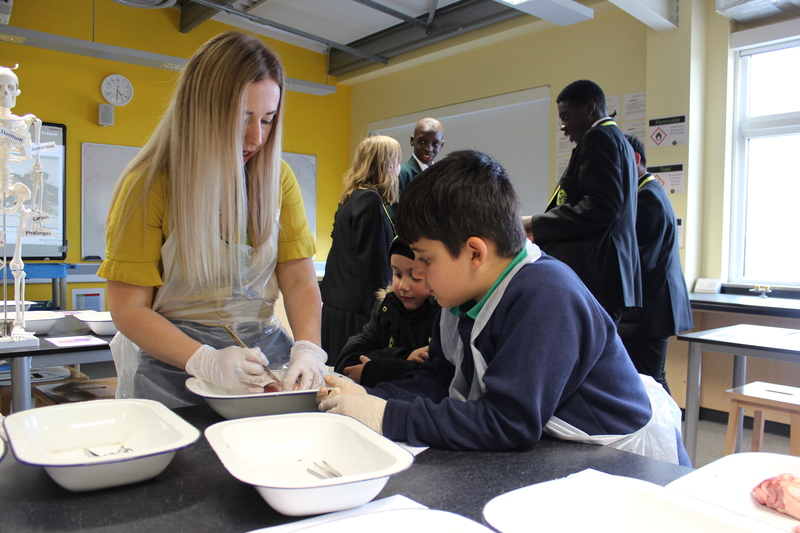 This week we held our annual Open evening where parents and their children had the opportunity to sample a wide range of activities in each of the departments. There were loads of displays & fun things going on in each area representing the rich and varied subjects and extra-curricular activities on offer at Cedar. DMSF is a key part of life in school and Bex took time off from her busy schedule to help in the PE department. During the evening our visitors were issued with a tour card, once they visited a department and took part in some fun they collected a sticker – anyone with a full tour card received a goodie bag at the end of the night. A big thank you to our student leaders and helpers for doing a sterling job, they were true ambassadors for CMA, staff received so many compliments about them, in particular their infectious enthusiasm and dedication to the academy. I think everyone will agree were very lucky to have them. On behalf of Mr Mellen & Mr Hodgeson we would like to thank all those who attended and hope the evening was beneficial to prospective students and their parents.